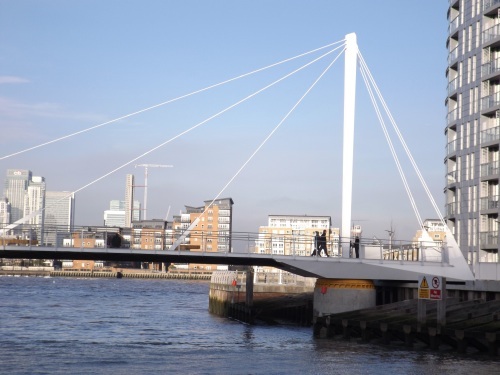 The swing bridge at Deptford Creek has opened. The first walkers crossed on Monday. 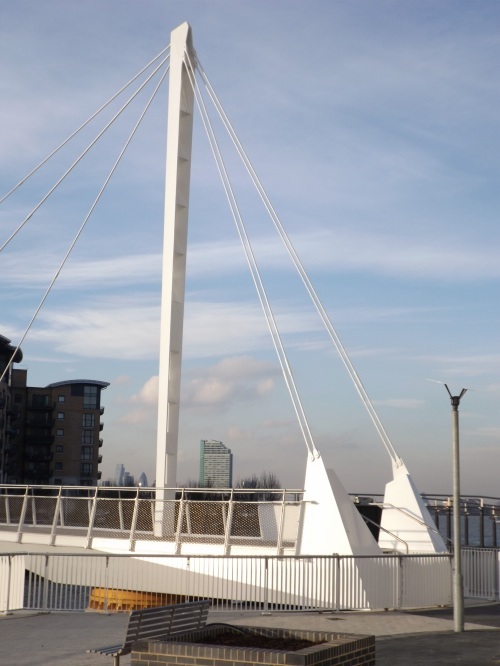 There is now a new Thames Path route between Greenwich’s Cutty Sark and Deptford. After passing Cutty Sark (left) follow the riverside to Horseferry Place. But do not turn left down Horseferry Place. 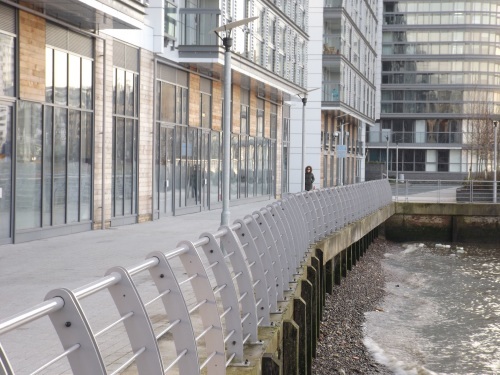 Instead keep ahead across sheltered Wood Wharf to enter the New Capital Quay development. Follow the wide and straight Dreadnought Walk to pass BCT shop (left). Soon there is Victoria Parade and Waitrose (left) and the river (right). Continue along Dreadnought Walk to pass a playground (right). 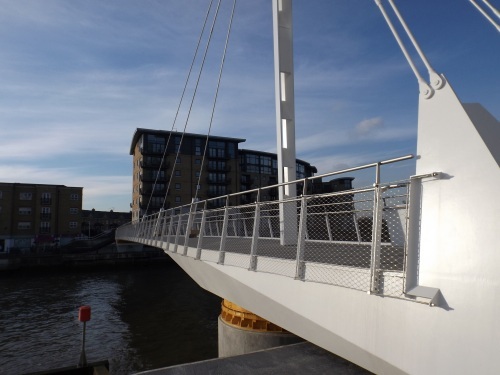 The wide way (unlike the riverside path behind the playground) leads directly to the swing bridge at Deptford Creek. 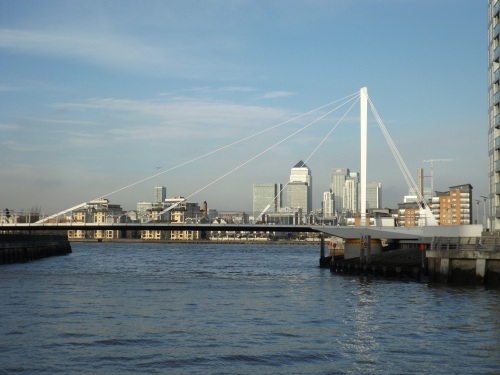 The bridge reaches the Deptford bank at Munure’s Cafe. A slope leads down to the waterside in front of the Peter the Great statue. 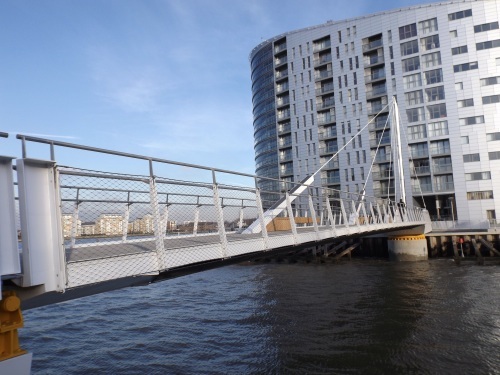 So the Thames Path no longer crosses Deptford’s main road swing bridge but both bridges have to open almost daily at high tide for vessels working from the Euromix Centre higher up the creek. Waitrose does not have a cafe but it will of course be useful for picnic food and drinks in the summer.